Christmas time is almost here, and I am excited to share some Christmas traditions for the Christian family to celebrate together! If you’re a Christian family looking for new family traditions for the holidays, I wanted to share some of our favorite with you this year. 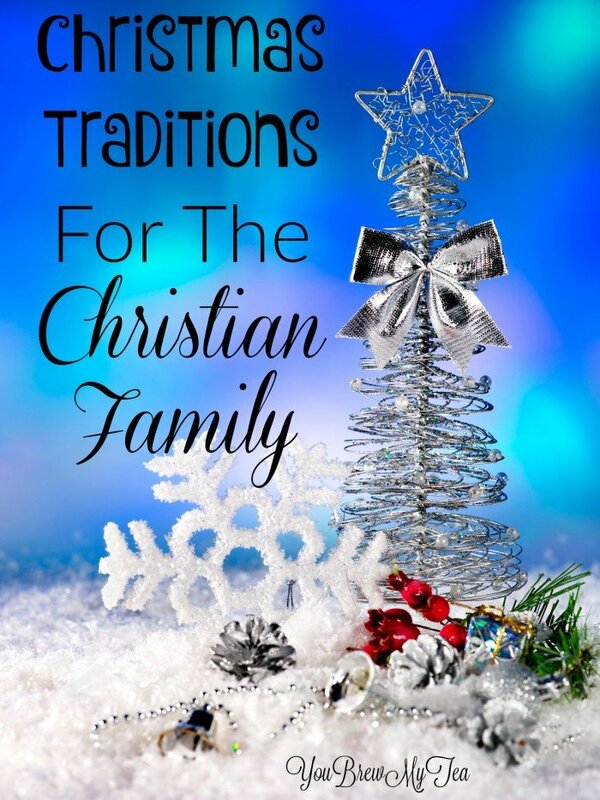 Remember there’s no right or wrong when it comes to traditions for your family! Here are some of ours. These aren’t just for religious families, but since they are more affiliated with church and religion some who are secular may not want to add these to their traditions. Regardless of your belief, anyone can enjoy these great traditions with their family this year! Every Christmas Eve, our family sits down while my husband reads our family the Christmas story. Not the story about Santa Clause, but the story about Jesus. The part where Mary gives birth to Jesus and the Wise Men go to visit Jesus as a baby. We try not to commercialize Christmas and want our kids to know the true meaning of Christmas. Another great option is to read Max Lucado’s book The Crippled Lamb. It’s a beautiful holiday story that helps your kids understand more about the love and compassion of the season. There are so many people who feel as though they are less fortunate around the holidays, which is why we like to reach out. We don’t necessarily plan anything, but just do random acts of kindness. It’s really neat to see how we can bless others in the name of Jesus. Whether it is buying a meal for the person in line behind you at a restaurant, or going to a local shelter and donating your time or needed supplies, giving back to those around you is a great way to show Christ during the holiday season. Remember it’s not about praise for yourself, but about helping others know that they are loved and cared for. In the world that focuses less and less on Jesus around Christmas time, it’s important to our family to put up the nativity set. We do this as a family and talk about each member of the Nativity Set. It’s really neat to have this out during the holiday season to remember the reason for the season. We love the Willow Tree Nativity set, but there are so many simple and creative choices out there. From nativities that are classic to the ones that feature our favorite characters, it’s fun to have at least one out during the holidays. We listen to REAL Christmas music. The music where the mention Jesus and talk about the Christmas story. We love hearing about the life of Jesus through music. Of course, we’re not opposed to the other music, we love it too! My husband has to get on me for listening to Christmas music far too early in the season (he’s just teasing of course)! What are some Christmas traditions your family gets into around the holidays? Check out our other great holiday tips and tricks! Good post! t was nice to read this and see another family not focusing on the commercial and Santa side of Christmas.